This week's prompt in the Book of Me series of blogs is Military. 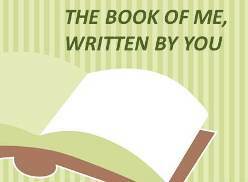 The Book of Me is a fifteen month project organised by Julie Goucher of the Angler's Rest blog to help us blogging historians and genealogists to write about ourselves for a change. Each week Julie sets us a theme or a series of questions to answer. Did you join the military? Were you encouraged or discouraged? 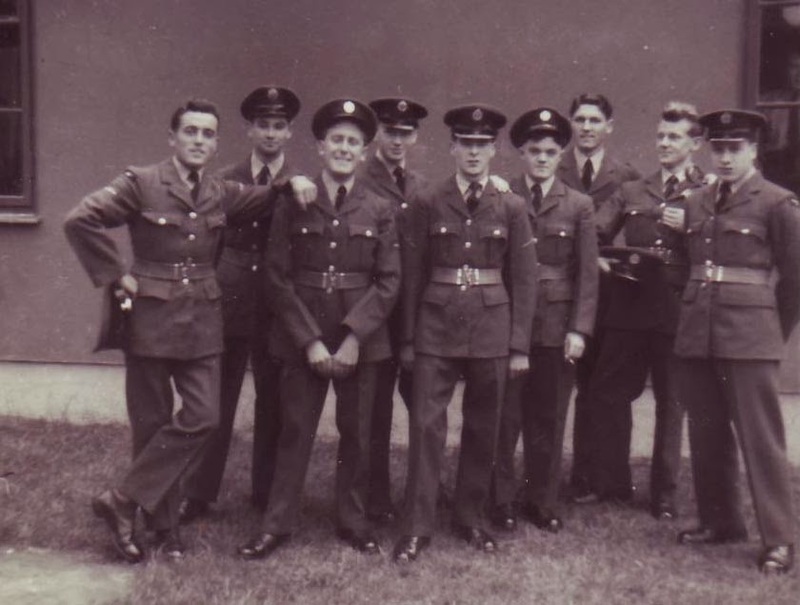 I attempted to join the RAF when I was eighteen after I had failed my A levels. I failed that as well. I can't remember whether my parents showed any interest. Did a family member join the miltary? Regular or for a particular incident? 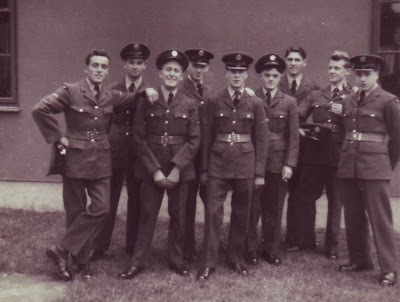 My father did his national service in the RAF (but that wasn't linked to my motives for the above). He did not enjoy it and often used to say he wished he'd joined the army instead as with his grammar school education he'd have probably been made a tutor. As it was they discovered he was colour blind so he was unable to be a pilot - he spent two years as a fitter. He did serve some of that time in Germany - my mum and he were courting at that time and she may have more stories. holding his cap and posing from the looks of it! My father's sister was in the ATS during the Second World War - some of her story is here. My paternal grandfather was in the Seaforth Highlanders pre WW2 and rejoined during the Second World War - I have a post about him here. My maternal grandfather was in the Home Guard during WW2 - there's a great picture of him in this post. Did you or your family serve overseas in the line of service either during a war or as a posting? My paternal grandfather, Edward Lawrence Hall, served in India from December 1926 to December 1932 (info from his Certificate of Service). 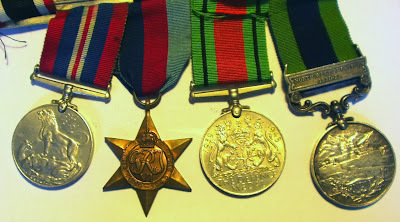 His medals include the India General Service Medal with a bar that says "North West Frontier 1930 to 31". Coming from a North-Eastern coal mining and shipbuilding background my family history is fairly short on soldiers (or even sailors) so the ones that I find usually via the Commonwealth War Graves Commission's site, are usually diligently researched. There is a whole page (work in progress) of links to various soldiers' stories from my family and my husband's (the OH), accessible via the World War One Soldiers' Stories tab at the top of this page. Yesterday I received an email directing me to a page in an American newspaper concerning a relative of mine - Gabriel Davison Harle - he's my second cousin twice removed and he died in WW1. A fascinating story about finding his letters home from the war in an attic! I wish I had that kind of luck in my researches. So a huge thank you to the gentleman who brought this to my attention! P.S. if you are wondering what happened to Week 10 of Book of Me - I'm thinking about it - the prompt was Unexplained Memories and as I seem to remember everything with great clarity (I may be fooling myself but it feels that way) I can't honestly put my finger on anything unexplained to write about. There's something that has changed - colourblindness no longer prevents you from becoming a pilot, apparently! We don't seem to have a lot of military folk in our history - with one very notable exception - my Great Grandfather John Henry Stanley - I blogged about him last year. Other than that, my granddad was in the Army during WW2, and I had a Great Uncle in the RAF - he served in the Burma campaign but never spoke much about it so far as I can recall - in common with a lot who were over there.